Joseph was injured towards the end of the match while fielding and remains doubtful for the match. 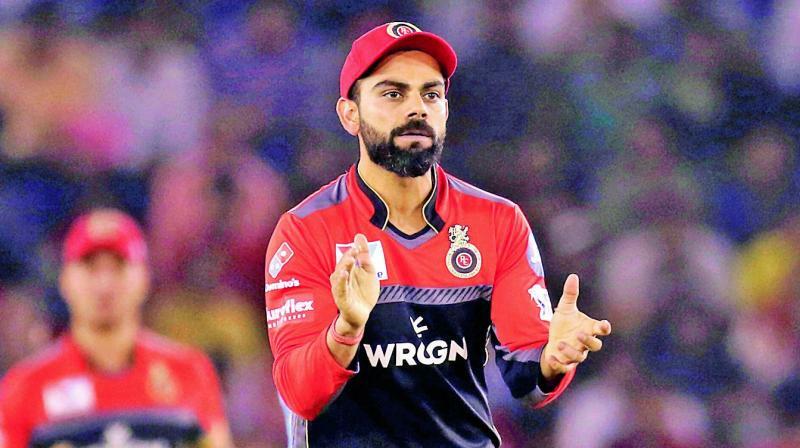 Mumbai: After losing to Rajasthan Royals on Saturday, Mumbai Indians will enter Wankhede Stadium for another royal clash with Royal Challengers Bangalore. The hosts’ bowling was ripped apart by Jos Buttler and it remains to be seen whether they persist with young foreign pacers Jason Behrendorff and Alzarri Joseph who have conceded runs in last couple of games after good start to their IPL campaign. Joseph was injured towards the end of the match while fielding and remains doubtful for the match. The Rohit Sharma led side has experience in the form of Lasith Malinga and Mitchell McClenaghan waiting on the bench to take on the might of Virat Kohli and AB de Villiers who have been the most dangerous batsmen in the RCB dug out. De Villiers has played some breathtaking knocks at Wankhede for RCB and South Africa to win games on his own. Opener Parthiv Patel has also been among the runs but RCB will need more runs from all-rounders Moeen Ali and Marcus Stonis. With monkey off the back courtesy first win of the season against Kings XI Punjab on Saturday, RCB can’t afford a further slip up. They have got boost in the form of South African pacer Dale Steyn who has joined the team as replacement for injured Nathan Coulter Nile. Steyn who has played for RCB before, last played for Sunrisers Hyderabad and is back in the IPL after couple of years. The tearaway pacer in his prime has bowled furious spells at Wankhede stadium troubling the likes of Rohit repeatedly.